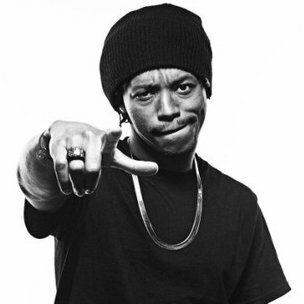 Lupe Fiasco Says He Didn't Want To Appear On Kanye West's "Touch The Sky"
In the latest segment of an interview with DJ Skee on SKEE TV, Lupe Fiasco touched on his near-signing with Roc-A-Fella Records in the early 2000s and initial relationship with Jay Z, Kanye West, and Pharrell. Asked about his connection to Jay Z, Fiasco explained walking away from a possible signing with the rapper’s label. Speaking on how he developed the relationship with Jay Z, Lupe recalled being present for different parts of the recording process for The Black Album. Baseline Studios, once owned by a Jay Z affiliate and later sold to producer Just Blaze, was shut down in 2010. Jay Z’s “Public Service Announcement,” Cam’ron’s “Oh Boy,” and Jay Electronica’s “Exhibit C” were all recorded in the space. Detailing his initial encounters with Kanye West, Lupe Fiasco remembered travelling in different circles while still aspiring artists in Chicago. “I never met him through any Chicago connections,” he said. “He was always in a different world. He was in a Hyde Park, Common, backpacker world. We was more in like the streets world.